KIEV (Sputnik) – Last year, Ukraine dropped its neutral status to open the way toward membership in the US-led military bloc, but NATO’s former Secretary-General Anders Fogh Rasmussen said Kiev needed to meet certain criteria before it could join. "[To] meet NATO criteria is absolutely the same as [to] meet EU membership criteria… NATO now is the most effective security mechanism in the world, after the UN Security Council was ruined. And is the NATO… ready to invite Ukraine? No. 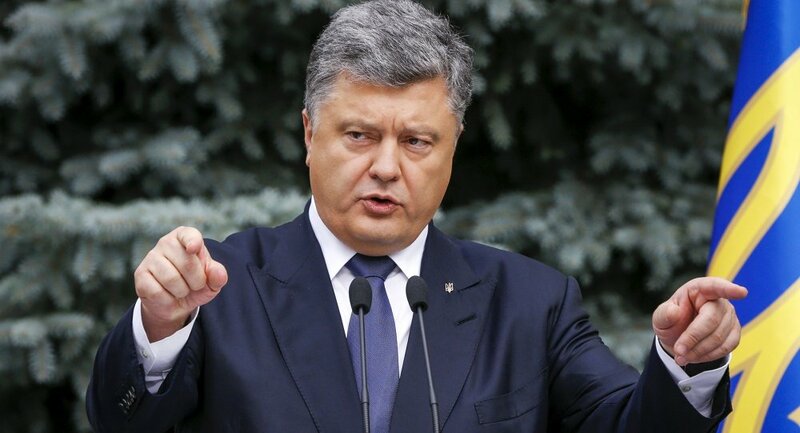 And we fully understand that," Poroshenko confessed in an interview with the Voice of America published Friday. He claimed that over 50 percent of Ukrainians supported Ukraine’s bid for NATO membership for the first time in the country’s history. "This is a huge shift in public opinion," Poroshenko told VOA. On Wednesday, Ukraine's National Security Council endorsed a new military doctrine that called for the country to pursue NATO membership. President Poroshenko estimates it will take Ukraine five years to upgrade its military to the level expected from NATO membership applicants.